It’s kind of interesting to watch certain sectors of fandom implode when something happens to their franchise of choice that they do not consider to be canon – these are the same kind of people who complain when a band releases an album that is different from their previous output; who accuse a band who has a hit of selling out; who accuses a band known for different sounding music not always making something different sounding. In short, these are the kind of people who you cannot win with. For anyone who thinks the latest development in Doctor Who came totally out of left field, I would submit that they haven’t been watching the same show as me. 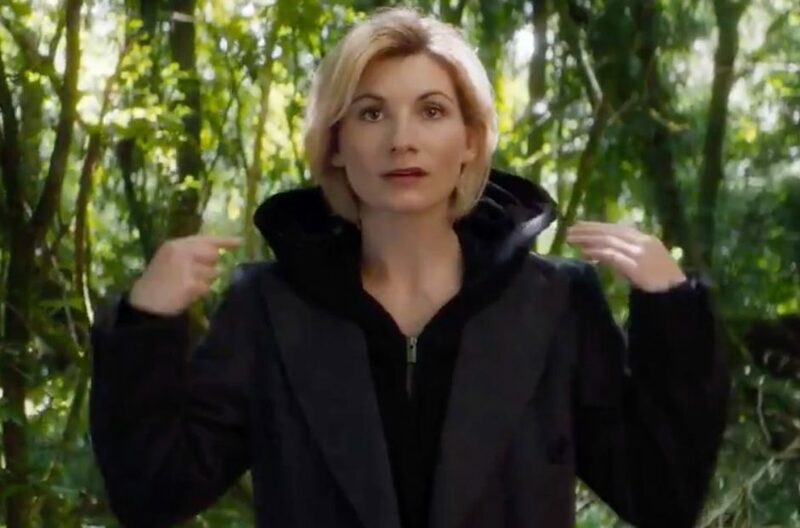 And as has been pointed out – when you have a being that can regenerate, and is alien, what are the chances they wouldn’t at some point be female? Given that a lot of cultures extrapolate their technology from their biology and their environment, the TARDIS, and here I am talking in the plural sense, never seemed to be a particularly male kind of craft (even putting aside the fact that when personified, the TARDIS was indeed female). We have a black Roland in The Dark Tower. For those who don’t follow comics, we have had a female Thor and Wolverine for a while. We got a black Johnny Storm. Helen Mirren played a female Prospero. People should be used to this kind of thing by now – the fluidity of a fictional character should never be a problem. An historical character with a genderswap or being played by someone from a different race? Might be a bit confusing. Again though – I point you to Quentin Crisp as Queen Elizabeth in Orlando, and Ossie Davis as JFK in Bubba Ho Tep. Maybe those are unfair, but you catch my drift. The only slight back off I had on Idris as Roland was that making Roland black was going to have a massive effect on the character Detta Walker from the books, and she and her journey were one of my favorite things in the story. I have faith it will be handled, and I can accept that the film is a different beast to the book (aren’t they always). Anyway – it’s funny when you look at a long running franchise like Doctor Who where actor changes are predicated on a very integral part of the main character’s design, and yet people still have a problem adapting quick enough. Matt Smith was too young – until he was brilliant and brought something new; Peter Capaldi was too old after Matt Smith, and would alienate people – until he hit his stride and won people over. And now Jodie Whittaker is going to get the key to the TARDIS and people are freaking out all over again. From a marketing viewpoint, and from the possibilities it gives the series in terms of what it can explore with this new twist – the sky is the limit. Now this barrier is broken down, I think race is going to come next, and then, who knows? There are a lot of stories that can be told with this character. Want to open up a new market? Pick your actor accordingly – as long as it serves the logic of the story I am all for it, and change is deep in the marrow of Doctor Who.